Many people are struggling these days and their troubles don’t go away. Why not take a few hours out of your hectic schedule to make a difference in someone’s life? 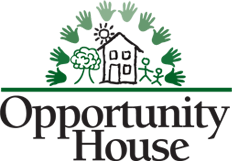 We’ll be serving dinner at Opportunity House the FIRST TUESDAY of every OTHER month beginning in JANUARY and continuing through NOVEMBER. Anyone interested in helping to cook and/or serve the meal is welcome. Cooking begins in our Church Kitchen at 4PM, and we leave for the shelter to serve our meal at 6PM. If you don’t have time to be there in person, please know that a monetary donation towards the meal is always welcome and appreciated. There are also items that the shelter always needs, such as grooming products, pillows, bedding and more. Those items should be labeled “Opportunity House” and left in the kitchen so we can deliver them with the meal. Please contact Penny Snook with questions- or to volunteer. Thanks for your support!